Creating and establishing a new, amateur football team is an idea that several of my friends and I have toyed with for the past few seasons now. We wanted to build something from scratch, a team that could be successful but one where we’d enjoy playing football. In the summer of 2014 the wheels were put in motion to turn the idea into a reality. I chose a slightly tongue-in-cheek title for this piece, I hardly expect Idle to one day be brokering multi-million pound sponsorship deals with Gazprom or signing the latest Brazilian wonder kid from Santos FC. Although, if I worked this out correctly, I believe we could in fact be competing in the Premier League after 14 consecutive promotions. Anyway, I’d be 38 years old by that point and pretty much past the point of an England call-up. But on a smaller level the creation of Idle holds much more sentimental value. 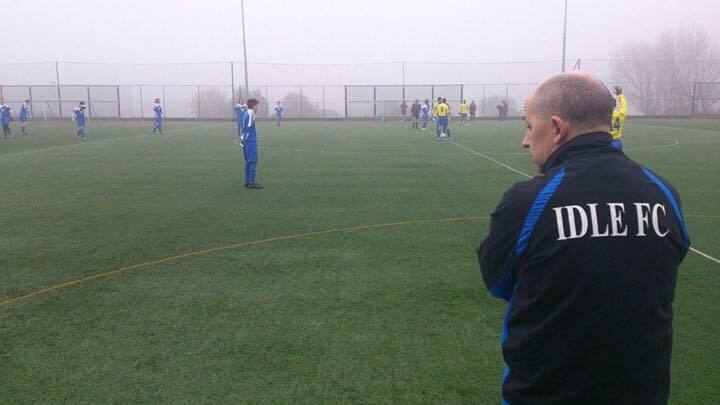 Grassroots football has drawn a lot of attention over the past year or so. The release of FA Chairman, Greg Dyke’s England commission report in May 2014 detailed his grand vision to ameliorate the England senior team through the development of grassroots facilities amongst other initiatives. The Save Grass Roots Football e-petition saw a revival this year largely through social media and to date has around 17,000 signatures. This shows us that there is support for grassroots football at the highest and lowest levels of the game and this is something that Idle FC has benefitted from in 2014. Financial support is a basic requirement needed for a new team to succeed and many teams fold every year due to money troubles. It’s pretty obvious fact that without money, it is impossible to purchase kit, footballs, training apparatus and pay annual pitch fees and also referees’s fees on match days. This is where the support for grassroots football became invaluable to Idle. The Football Foundation is the largest sports charity in the UK, whose funding partners include the Premier League, the FA, Sport England and the UK Government’s Department for Culture, Media and Sport. The foundation offers a variety of funding schemes across all levels of football, one of which Idle was lucky enough to take advantage of. The Grow the Game scheme is open to new organisations and teams that intend to use football to increase participation by players and volunteers i.e. coaches at grassroots level. Idle applied for the scheme in the hope that we could secure a grant of £2000 which would cover a number of costs over a two year period including; facility hire, referees fees, affiliation fees, league entry fees, CRB checks, FA coaching courses and football kits amongst others. It was a great moment to find out we’d been successful in our application and most importantly, it provided assurance that we’d have funds secured for the first two years of the team’s existence. To supplement the Football Foundation’s grant it was important to find other sources of funding to give the team the best start possible. This was achieved through sponsorship from local businesses. We approached businesses around the Idle area of Bradford directly and leveraged contacts which the players already had to secure the support we needed. This turned out to be more of a success than we had imagined as another £1000 was raised for the club. 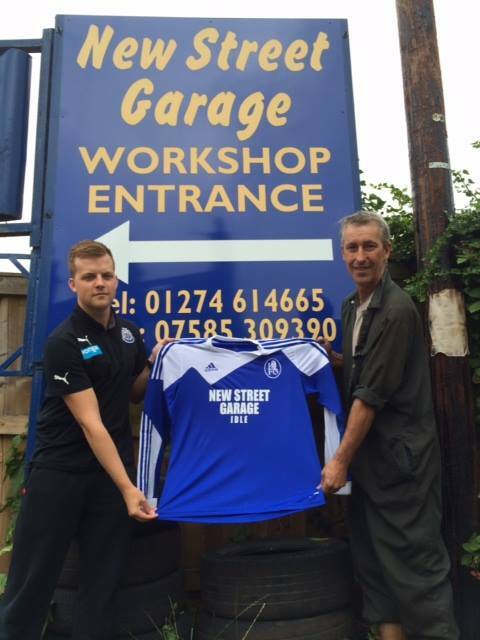 New Street Garage of Idle became our main kit sponsor with their name appearing on the front of our home kit (pictured below). Towngate Fisheries also of Idle sponsored our training gear and Sweet Success provided sponsorship for essential kit maintenance. The Save Grass Roots Football petition highlighted the poor quality of facilities at the lowest level of football and for new teams, finding a local pitch that it is well maintained is often hard to come by. Local councils have struggled to maintain adequate changing rooms and grass pitches due budget cuts. However, we managed to secure the 11-a-side, 3G astroturf pitch at Goals Soccer Centres in Bradford for our home games, and again this was achieved through the contacts of our players. The well maintained changing rooms and all-weather pitch means that we’ll rarely have home games cancelled and players will be able to enjoy comfortable facilities. “We would like to massively thank the Football Foundation for their support in enabling us to get off the ground. We’ve been afforded one of the best starts a new club could ask for financially and the hard work of everyone involved in the early days of Idle FC has paid off so far. Rob has led the players through a successful first few months as a team competing in the Spen Valley and District Association Football League first division. Our performances on the pitch have been encouraging and hopefully we can seal promotion to the Premier Division in our first season. This is only the beginning for Idle FC but thanks to the support of the Football Foundation, sponsorship from local businesses, and the hard work of those who continue to support the ongoing management of the club, the future looks bright for a team that was only an idea 6 months ago. This article originally appeared on balz.co.uk.